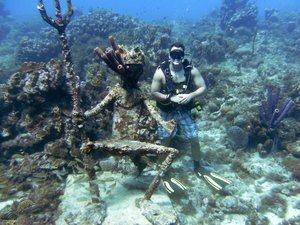 Adam started diving in West Virginia, in 2009, with Tige and Monica as his instructors. He enjoys his role as an Assistant Instructor, but has plans to advance to Open Water Instructor. He enjoys introducing new divers to the dive life. Adam's favorite parts of diving are the adventures in and out of the water and getting to meet new people.